The greater Phoenix area has more luxury hotels than one can imagine. When thinking about them, it is often the casual environment that comes to mind, but don’t be fooled, residents and visitors alike enjoy a refined and elegant experience as much as anywhere else. More hotels may feature Afternoon Tea, but I am going to focus on the three that feature it in the summertime, as I tend to take guests during summer as well as winter. My sister-in-law visits in the summer and one of her favorite activities is Afternoon Tea. So we tried all three venues. The Arizona Biltmore, A Waldorf Astoria Resort, started serving Afternoon Tea when they opened in 1929. But for a while, like many of the hotels, they stopped during the summer. Last summer, for the first time, they started their Summer Tea with iced tea selections. Because it was so well received, it is returning this year. 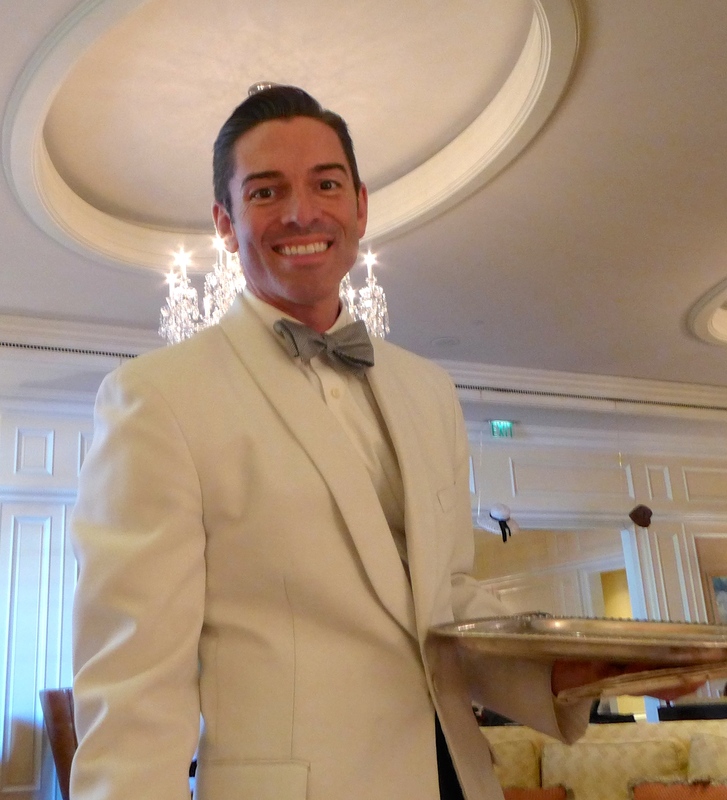 Tea Sommelier Kevin Doyle welcomes you and explains the Biltmore’s variety of six hot or iced teas. My husband and his sister, traditionalists with a preference for hot tea, stayed with a hot service, but I ventured to the cold service with blackberry pomegranate. 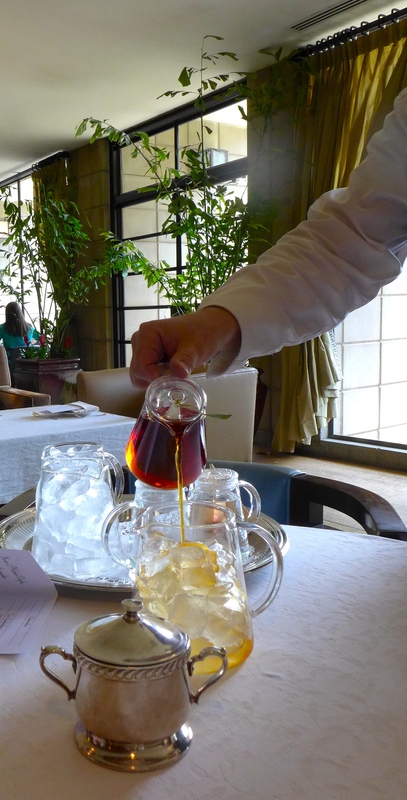 Like the hot tea, it is steeped at the table and served over ice when ready. This is accompanied with a presentation of finger sandwiches, a scone and teacake and ample desserts. Kevin does an exceptional job explaining all aspects of the service. 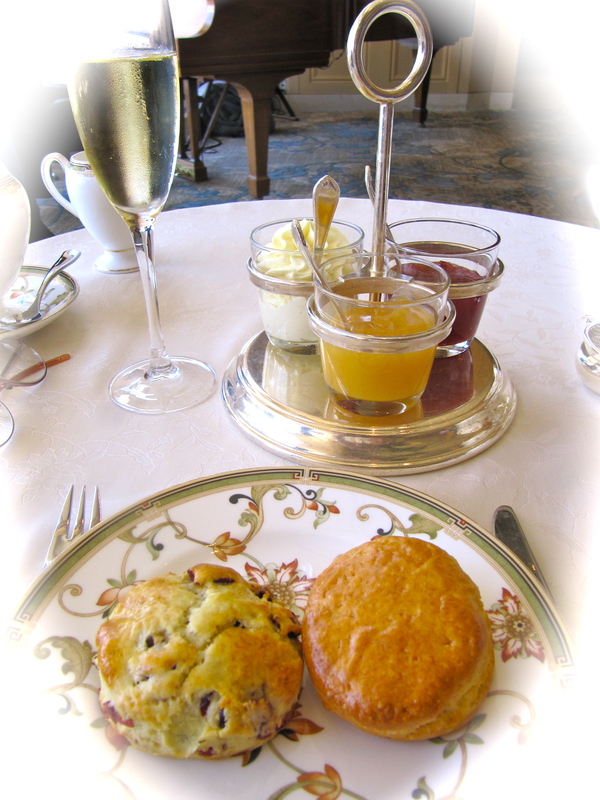 Seatings for Afternoon Tea are at 12 noon, 2 p.m. and 4 p.m., Thursday through Sunday. For the 2014 season, the cost is $39, or $49 with the addition of Kir Royale or a Mimosa. An 18 percent gratuity is added and reservations can be made at 602.381.7632. 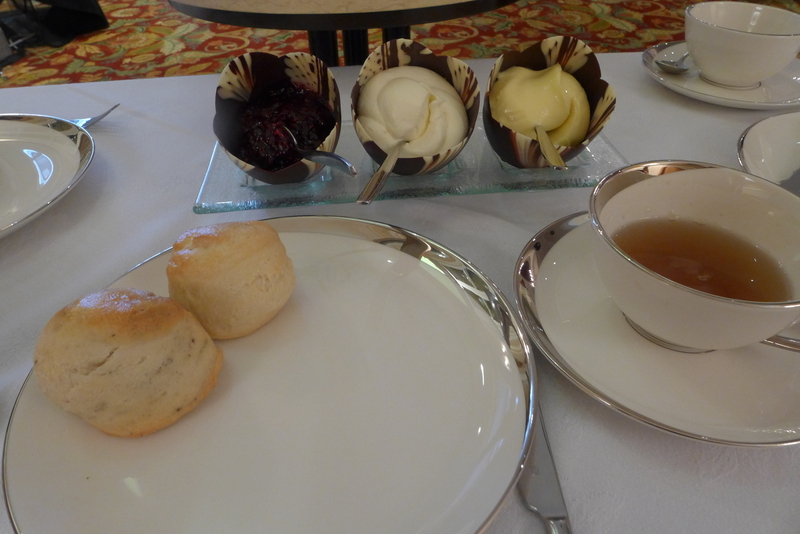 Next on our Afternoon Tea adventure was The Ritz-Carlton, Phoenix, with Tea Sommelier Jeffrey Hatrick. The cozy atmosphere of its Lobby Lounge duplicates everything you would want and expect from an English High Tea experience. Jeffrey’s ability to put you at immediate ease and relaxation enables him to provide each guest what seems to be an individual experience. Jeffery’s passion for tea shows through. He has won many awards and travels to share his tea knowledge through private and public functions. To quote him, “Tea is a vessel by which we can navigate our mood. It can enhance the space we are in or guide us to a place we would rather be. Tea is an experience that engages all of the senses and allows us to enjoy an art of living.” Jeffery is usually available for most afternoon teas. Like most High Teas, The Ritz Carlton Afternoon Tea is comprised of the savory, scones, and sweets selection. An important addition is the option of gluten-free scones and sweets upon request. Sharp cheddar mousse tart, infused with a peach blossom tea, topped with a sweet peach chutney and candied pecan; Inverted cucumber sandwich with jasmine green tea cream cheese, topped with a roasted pistachio; Poached shrimp canapé on a lemongrass black tea cornbread muffin with aioli cream and dill; Tangerine ginger chicken salad with onions and celery, topped with orange zest on marble rye; and Hand-made puff pastry with a plumb berry white tea gelée, agave nectar goat cheese mouse and finished with a sliced blueberry. Scones with Devonshire cream, lemon curd, and jam in chocolate shells. Chocolate chai flourless chocolate torte; Blueberry Rooibos cheesecake on a meringue cloud, topped with a golden pearl; Chocolate French Macaroon, filled with a cardamom and mint infused chocolate ganache; Summer Provence Pistachio Opera Cake with apricot mouse and notes of blueberry, hibiscus and lavender; and Blackcurrant shortbread with Yuletide black tea infused Bavarian cream, offering undertone of cinnamon, vanilla and cranberry. Norm and I look forward to returning to experience more of Jeffrey’s creativity and relaxation and the wonderful music. Our third and most frequent stop is The Phoenician, where Afternoon Tea is served seven days a week in the Lobby Tea Court. 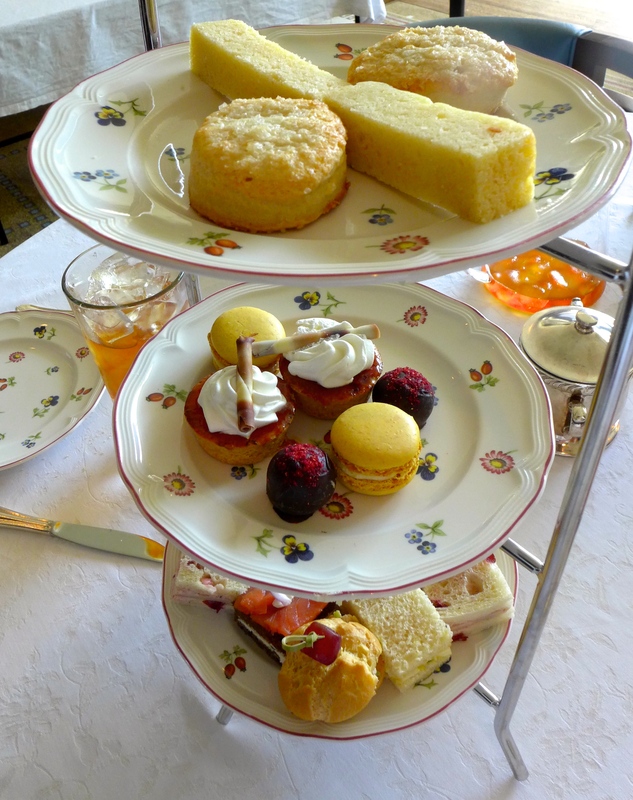 It has frequently been voted “Best Afternoon Tea” by the Phoenix New Times and Arizona Republic readers. In addition to its outstanding and elegant surroundings and view, the piano music adds great charm. The Afternoon Tea includes a wide variety of finger sandwiches, scones with Devonshire cream and preserves, pastries and chocolates at the end. 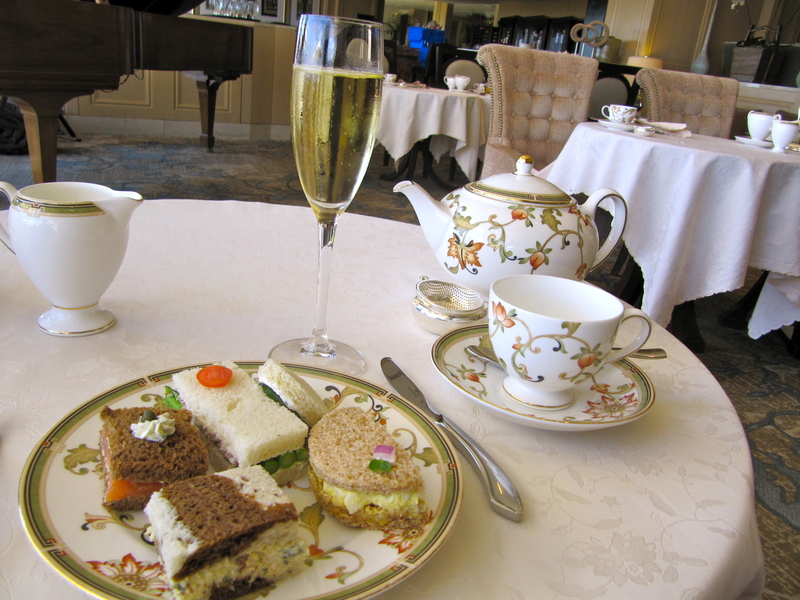 For 2014, the full tea is $40 per person and the Grand Royal Tea served with Vueve Clicquot is $55. Both are plus tax and gratuities. 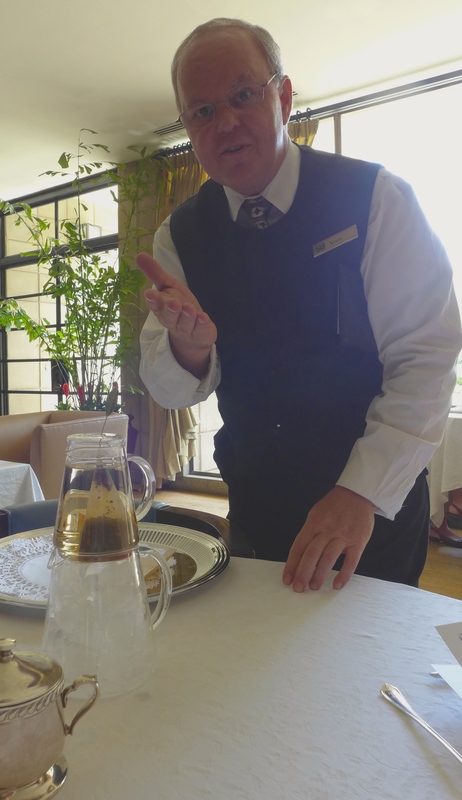 Whereas there is not a Tea Sommelier, the staff is so well trained, that every tea is explained extensively. We always request Wanda, as her service has been over and above with a sparkling personality. But on days she has been off, the other service staff are just as well versed. As the sandwich tray is passed around and explained, you pick what you want. Then you are asked again, if you would like any more. The same is true with each course. It is one of the most comfortable and relaxing afternoons imaginable. Since it is the largest, most crowded, can maintain having ample reservations in the summer, as well as a staff that has stayed for years, The Phoenician have a wonderful combination. The first seating is at 2 p.m. and the last at 3 p.m., reservations are required. Tel: 480.423.2530. Each of the three properties covered brings a different personality. They are all five-star. If I were staying at one of these three exceptional hotels, I doubt I would venture to another to try its tea service, unless that was really something I was into discovering. My goal in sharing our Afternoon Tea experiences in Phoenix is to emphasize that Phoenix is a mix of the expected with much more of the unexpected. We have it all. Obviously, I’m partial, but then that is why we relocated here. 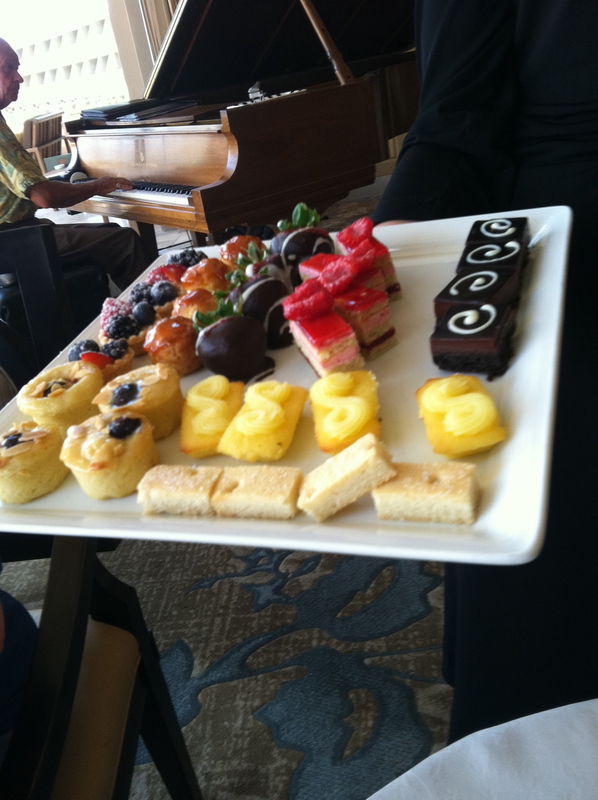 To read the Luxe Beat Magazine version of this article click on the title Afternoon Tea in Phoenix.